As regular readers of these ramblings will be aware, Duck Holiday periodically takes a look at Scots who have made their name in Eastern Europe. We continue that occasional theme with another Scottish engineer who is better known in Russia than in the land of his birth. William Handyside was born in Edinburgh in 1793. He was the nephew of another engineer, Charles Baird, who worked extensively in Russia, notably in St Petersburg. On a visit to Scotland in 1810, he invited his nephew, who was then training to be an architect, to join him in Russia. Handyside quickly realised that engineering rather than architecture, was his true vocation. Within five years, he assisted in the building of the first steam vessel to navigate the Neva River and by 1824, had completed four suspension bridges. In a city of waterways, bridge building must have been a decidedly useful skill. Despite the rivalry between Britain and Russia in the early decades of the nineteenth century, there was a good deal of co-operation between the two nations and a number of British engineers went to work on projects in Russia. This was a theme touched on by Charles Dickens in Little Dorrit, in which the talented and good-natured engineer Daniel Doyce departs for Russia, apparently with considerable success. 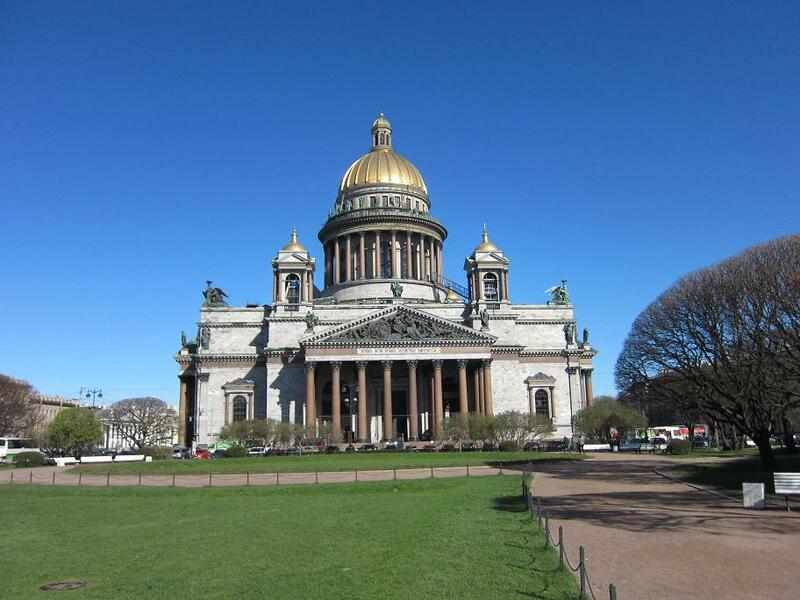 Handyside’s most notable project was St Isaac’s Cathedral. Working with the French Neoclassical architect Auguste de Montferrand, he undertook the construction of much of the stone and metal work of the cathedral. This was no small project; the colonnade alone was composed of no less than forty-eight granite pillars, each fifty-six feet long and eight feet in diameter. Another thirty-six pillars, only slightly smaller, were fitted around the base of the dome. He was also commissioned by the architect to build the huge cast and wrought-iron dome. After the completion of the cathedral, Handyside collaborated with de Montferrand once more, this time in the building of what was then the largest granite column in the world, dedicated to the recently-deceased emperor Alexander I. In 1832, the column was elevated in an astonishing twenty-five minutes, in front of the current emperor Nicholas and a vast crowd of military and civilian onlookers. 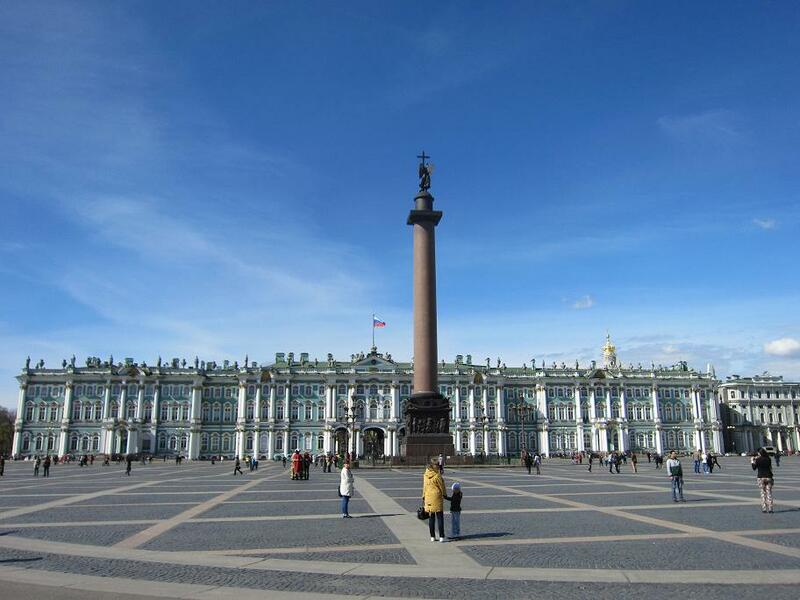 The monument stands in the centre of Palace Square, in front of the Winter Palace. Sadly, the exertions of his many building projects took its tool on Handyside’s health and he returned to Scotland in the hope of recuperation and recovery. He never recovered his health and died in his native city of Edinburgh in 1850 at the age of fifty-seven.